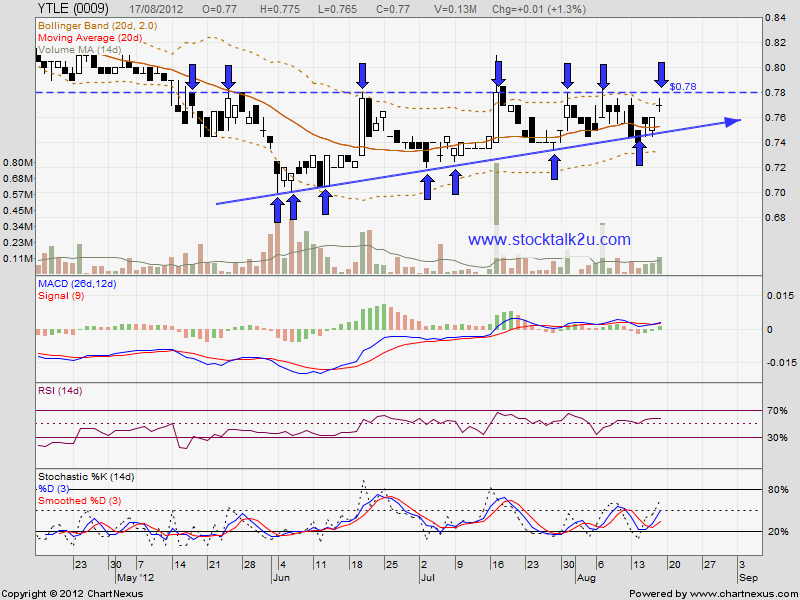 YTLE (0009) is forming ascending triangle. How about this round, will it break through the strong resistance? 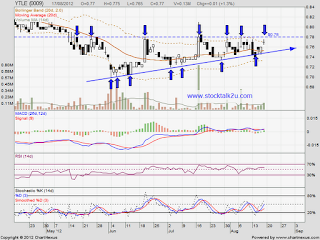 Immediate resistance @ upper triangle line which is RM0.78 level. If retrace down, immediate support @ lower triangle line.